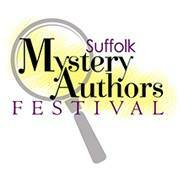 I’m so excited about this coming weekend’s mystery authors festival in Suffolk, VA—terrific readers, great hosts, and so many fine friends among the writers participating! Below is my schedule for the day—including getting to chat with this year’s headliners, Charlaine Harris and Toni L.P. Kelner. Hoping I don’t screw it up! VIP Meet & Greet, Taylor Ballroom • Noon-1 p.m.
Moderator: Interview with Charlaine Harris and Toni L.P. Kelner, Birdsong Theater • 1-1:50 p.m. Author Signings, Art Galleries • 2-6 p.m.